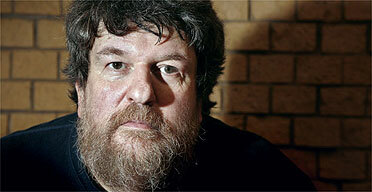 Oliver Knussen was born on the 12 June 1952 in Glasgow. He was known as a composer and conductor. He conducted his own First Symphony with the LSO when he was only 16. He studied composition in Massachusetts, USA, but moved to Suffolk, England. He was in international demand both as conductor and composer, but still found time to make occasional visits to Scotland. In 2008 he conducted the SCO in Scriabin, Janacek and Stravinsky at Edinburgh’s Usher Hall, and in 2009 he conducted them again in Maxwell Davies 4th Symphony, his own miniatures and finally in Mahler’s Ruckert songs at Glasgow’s City Halls. Knussen was a long-time faculty member at Tanglewood, Massachusetts and featured in the 2010 Tanglewood Festival of Contemporary Music in August. He conducted the Royal Scottish National Orchestra for the opening concert of the Edinburgh International Festival of 2014 which included music from Schoenberg, Scriabin and Debussy. He won the Ivor Novello Award for Classical Music in 2016. He died on the 8 July 2018, aged 66. You are currently browsing the archives for the Oliver Knussen category.